For powertrain testing it’s all about fast and exceptional results achieved in the safest manner possible. Our Hydraulic test stands HTCs offer full functionality to test all types of transmissions, motors, cylinders, valve blocks, torque converters and pumps. As you evaluate your needs for heavy-duty mobile testing equipment, consider how upgrading to the latest technology can improve your bottom line. 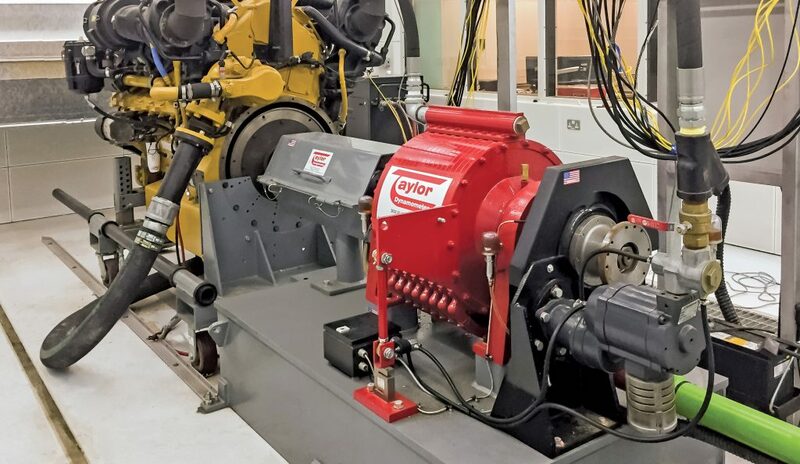 Taylor Dynamometer is the sole authorized manufacturer, distributor and servicing agent for the CAT® Hydraulic Test Center product line – available exclusively to Caterpillar and its Dealer/Distributor Network. Contact us for more information.